As a mother of a little girl who before I know it will want to play with Barbie dolls, I can't tell you how happy I am to see the new look Barbie! They're now more representative of what real ladies look like. Barbie has obviously been around my entire life and I did love them when I was younger, I don't remember questioning the way Barbie looked to be perfectly honest with you but I guess as I have grown up I've look at it differently, like many other people have been confused by why she had to have such unrealistic proportions. 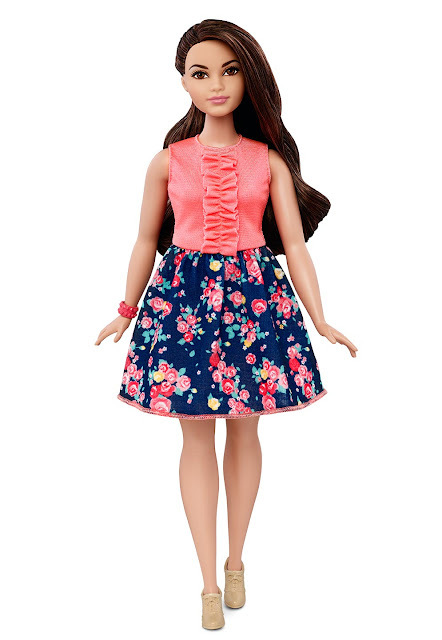 Mattel launched three new ranges of dolls today which are; tall, curvy and petite. It's nice to see that they've finally taken the criticism on board and created a doll that is a better example for young girls to play with. What do you think about the new range of dolls?